The federal government should rethink the wisdom of spending money to renourish beaches as sea levels rise and coastal property in the Carolinas and other places becomes increasingly vulnerable, a coastal geologist critical of renourishment efforts said Tuesday. Rob Young, who heads the Program for the Study of Developed Shorelines at Western Carolina University, said the government is subsidizing coastal development with renourishment money – and that’s costing taxpayers. 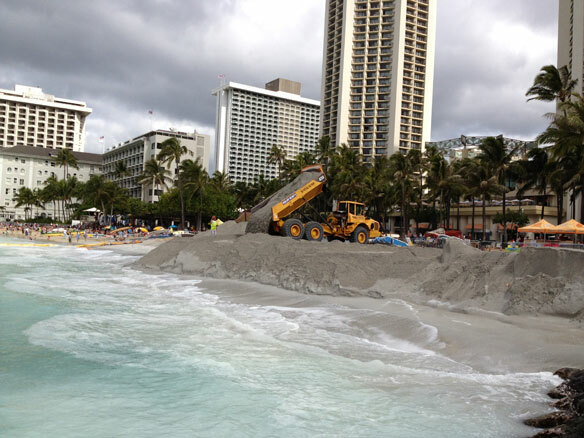 Communities across the country have spent millions of dollars renourishing beaches. Those efforts encourage people to rebuild after every major hurricane, he said.